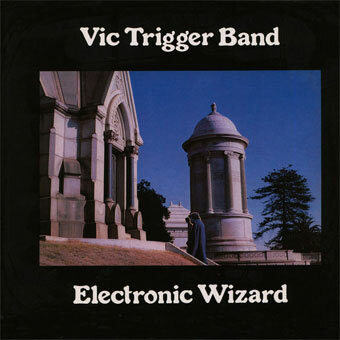 This LP by The Vic Trigger Band (Vic Trigger, Kip Haaheim and Waldo The Squid) entitled 'Electronic Wizard' was released in 1977. Homebrewed hard rock/heavy blues album, with quite a typical sound for the time. For such a thing, the playing skills are impressive, as are the vocals and song-writing. Comes on 180 gram vinyl. Το προϊόν αυτο προστέθηκε στον κατάλογό μας την Tuesday 05 March, 2019.